Back in our school days we all might have written a whole load crap in our exams about Melamchi Drinking Water Project, isn't it??? I believe Melamchi was one of the most popular topic which every Nepalese school students of this past decade or more are aware of. And currently the same project is being carried out in our valley Kathmandu and is scheduled to be finished this 2017 (Source). Well this was me babbling about our pathetic government. Lets move onto the real issue. 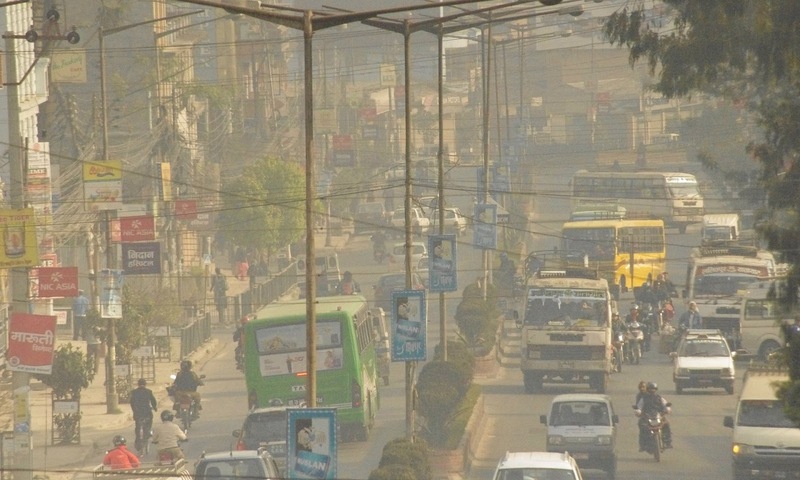 We all are familiar with the air pollution of Kathmandu. It was already at its peak because of the increase in number of vehicles and urbanization. 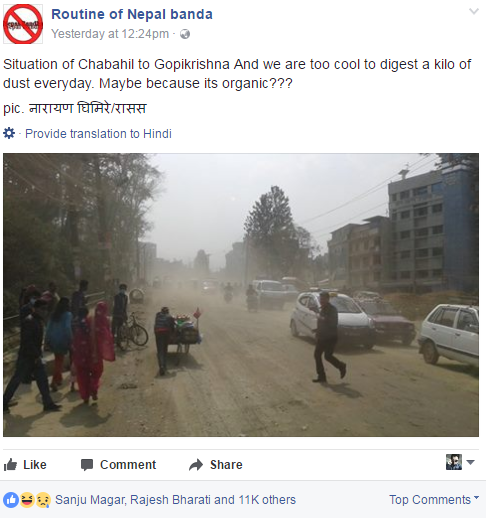 Now since the tunnels are being dug on the highway for this Melamchi air pollution in Kathmandu has turned from bad to worse. Presently, air pollution continues to rise at an alarming rate in capital and so does the respiratory diseases. Living inside capital for the chronic respiratory disease patients has become very difficult. If nothing is done then who knows our city once again may be in the headlines of the news channels all around the world for a deadly epidemic. So far our good for nothing government is doing nothing to stop this issue.